The presence of black Pinot in the Veneto region unleashed that desire to create the right combination and, therefore, a high quality sparkling wine. Ever since, we have made sparkling rose wine for the demanding connoisseurs. The occasion presents itself at the first harvest of black pinot; with a suitable clone and the perfect ripeness, the harvest proceeds for the grey pinot and chardonnay, which are picked just before they’re ripe so as to maintain a richer fragrance and an ideal acidic content. The pink color of rose petals is appealing and the wine is the result of a careful wine-making process that aims at getting the maximum integrity of wine composition. Grey Pinot and Chardonnay give character to wine, make it finer and give pleasant flower hues. The result is a sparkling wine suitable to all occasions and for sharing in friendly atmospheres. Grapes are picked right before their physiological ripeness so that they accumulate the highest amount of sugar possible. Wine does not exceed 10.5-11 alcohol volume thus the proper quantity of foam can be produced. Grapes, carefully selected, are carried to the cellar, where they are softly pressed. The must is immediately cooled and sent to a steel tank for decantation. The liquid part is poured and will ferment under a controlled temperature of about 18 °C, using selected yeasts. The fermentation process occurs slowly and in suitable conditions. This way, wine, from which sparkling wine will be obtained, is made. Sparkling wine will be made the following winter, after resting on fine sediment and gaining clarity. 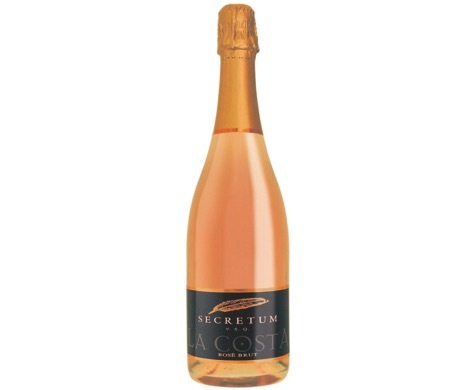 Appealing smell with pleasant sensations of rose and herbs, the pink hue makes it particularly attractive as well as with the presence of tiny and persistent bubbles. A pleasant drink, it also can accompany all courses. Serve also as a drink with friends. Perfect with light summer dishes and first courses.